With the weekly routine of going to get comics comes a subtle, taunting silver lining: what if they’re out of your book? It’s a reality you don’t think about until you’ve scanned the shelf once, twice, three times for good measure, just to make sure you’re not missing it. You’ve probably given yourself plenty of scares before that turned out to be nothing. But now – today, of all days, and with one of your monthlies for which you already wait weeks – it’s happening. Not always so easy, though. And then you get there and the book is absent, as it was for me this week. It emphasizes the importance of having multiple shops to rely on. Or, in my case, multiple zip codes and family members willing to make pit stops. 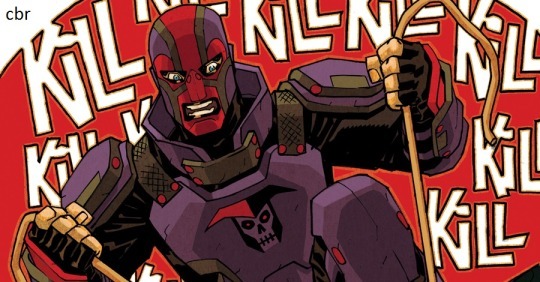 For the second month in a row, I’m asking a brother to stop at the shop I used to go to when I lived in Philadelphia for the newest Foolkiller, because they’re always reliable. And even though it’s out of stock there, too, they’re getting a copy from their other location. That’s not to disparage the shop I go to now, which is almost as fun and impressive. However, let’s recount the roadblocks: busted pull list, empty home shop, empty backup shop, empty backup shop calling a second location. The silver lining here is the delay in immediate satisfaction. While we’re inundated by it most everywhere else, and almost certainly appeased by it with the very format on which comics are built, immediate satisfaction was not attainable for me this Wednesday. I have a theory that it makes me more engaged when I do read the elusive book, and that I’m willing to find ways to enjoy it in the art and story that maybe I’d be quicker to glance over at otherwise. Maybe that’s not my theory. Maybe it’s my mom’s from when I was seven. But the point stands: waiting makes you wait, but waiting makes it more worthwhile. And if that damn pull list site is working, you’ll be able to read the next issue on time!